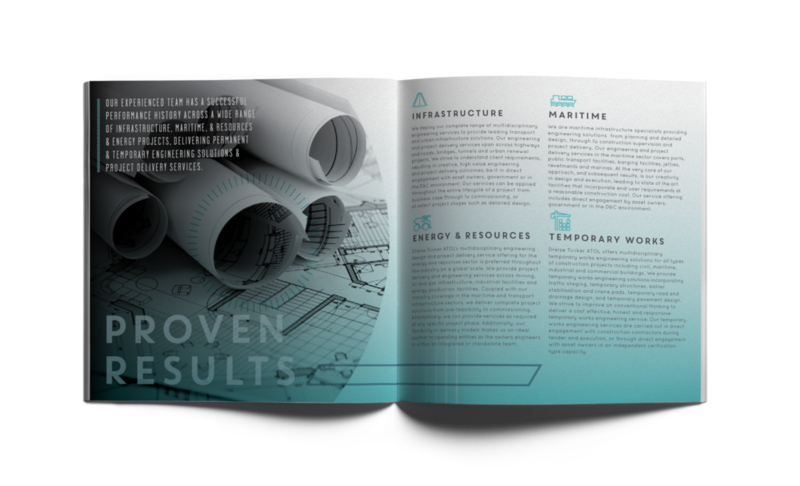 12-page booklet giving an overview of the company services, for an innovative engineering company based in the Gold Coast, NSW. 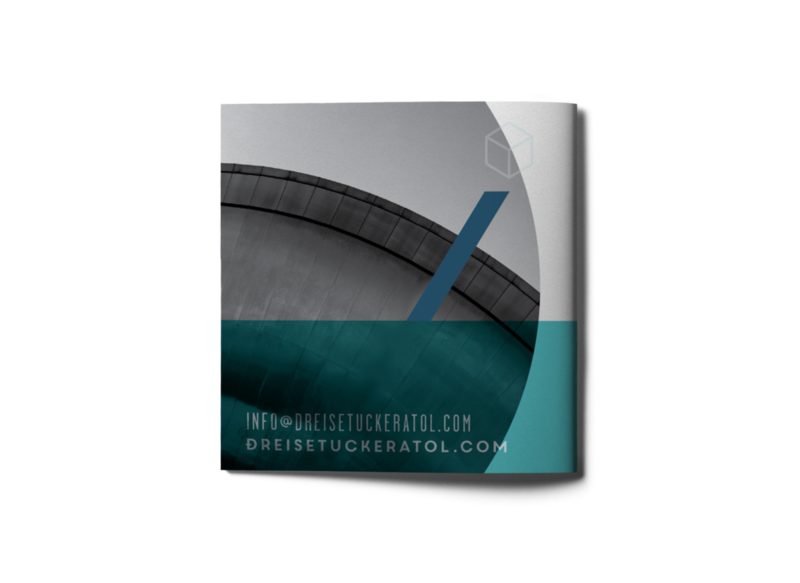 After a successful rebrand by ROAM from a very dated logo, to a much more modern logo which accurately represented the change in their business dynamics, ROAM was then contracted to design a promotional brochure for the client. 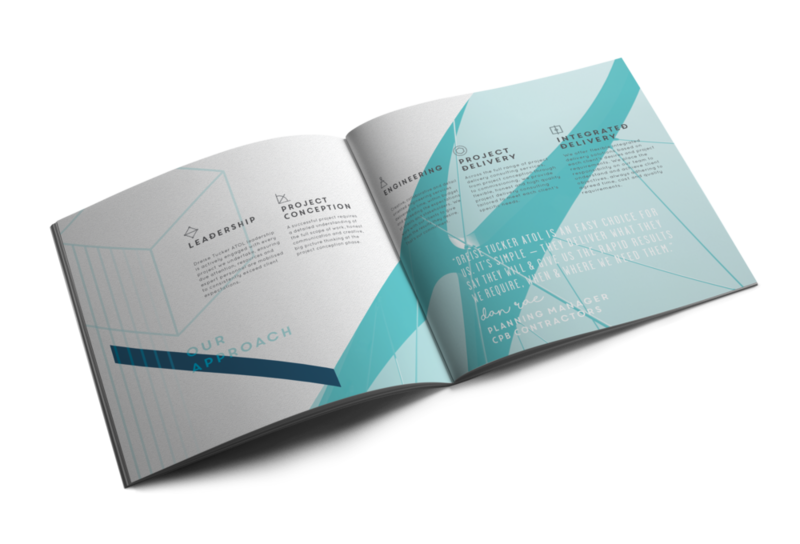 The brochure needed to look unlike other typical, traditional engineering companies, to set them aside as the young, fresh and innovative business they are within their industry. ROAM utilised strong, geometric, abstract black-and-white imagery overlaid with bold, iconic ‘engineering-inspired’ shapes and graphics. 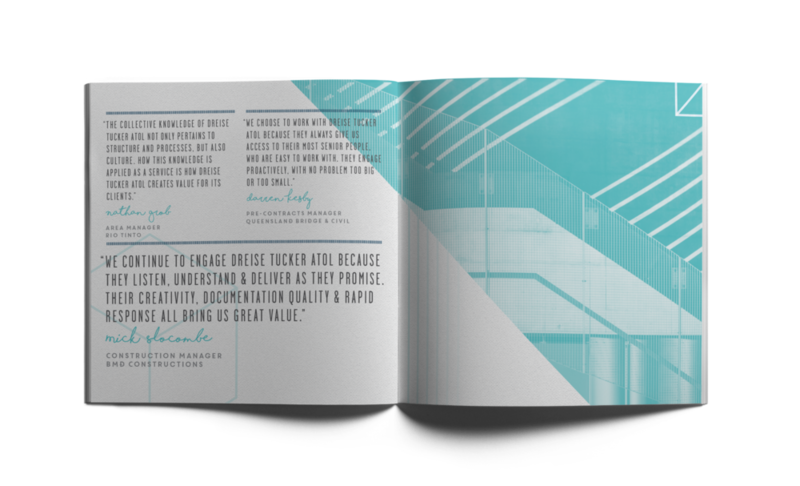 A square booklet format, combined with the simple, bold colour palette (inspired by their new logo) and the unique layout of text on each page, ensured that the client was very happy with the overall feel of the business’ new promotional material.